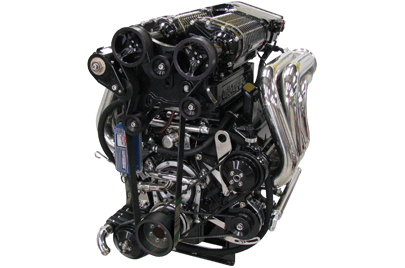 Proudly offering the most horsepower on pump gas in the industry, the crown of the Teague Custom Marine engine line is the 1400 EFI. 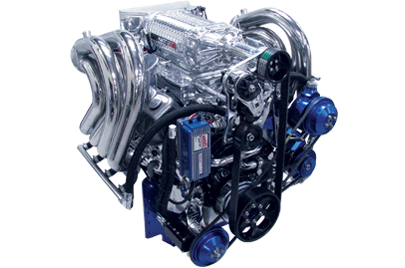 This engine produces peak horsepower at a staggering 7400 RPM, for the best applied torque and acceleration figures available from any pump gas engine package available today. Configurable to run either 91 octane pump gas or 110 leaded race fuel, with a program and pulley change, these engines go from weekend warriors to professional shootout contenders. 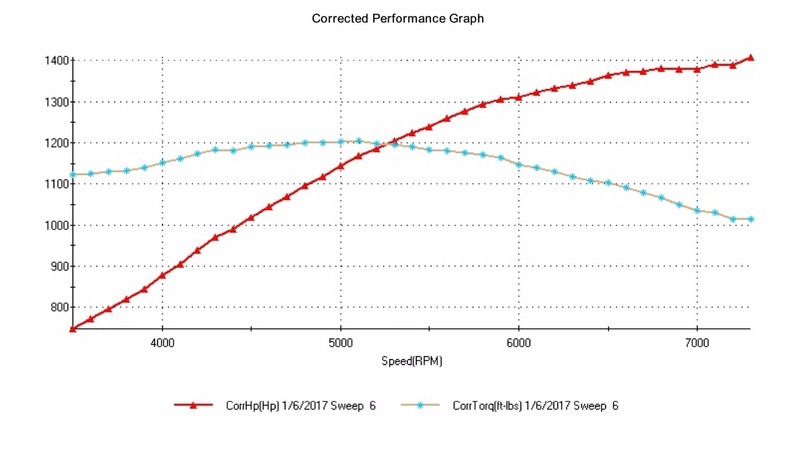 The TCM 1400 EFI package is versatile for different installations, featuring a 5.0L Whipple Screw Compressor and a twin core MOAIC cupronickel intercooler for low height profile and max midrange torque, or the behemoth twin 3.3L Whipple Quad Rotor with a massive 6" FOAC cupronickel intercooler for maximum top end horsepower and speed. The TCM 1400 EFI is based upon a tall deck World Merlin 3 Billet Splayed Main caps block, with a Sonny Bryant Billet crankshaft, Carrillo connecting rods, proprietary AFR CNC 24 Degree Heads, T&D Steel Shaft Roller Rocker Systems, Camshaft Belt Drives and Solid Body EZ-Max Roller Lifters, and Proprietary LS1 firing order big lift cam, this 565 cubic inch engine represents the pinnacle of big block Chevrolet based performance without the relying on exotic and unreliable offset-geometry valvetrain solutions. 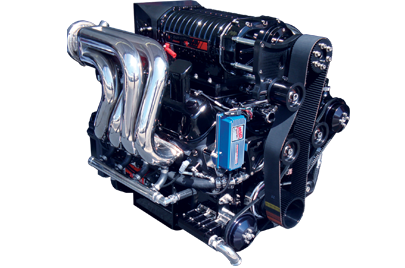 Priced standard with a 300 GPH Weldon Fuel system, CMI Big Tube fully water jacketed stainless steel headers, Latham full SS triple stage water pump, and the new severe duty Velvet Drive LHP72 transmission, the TCM 1400 EFI is built to outperform. 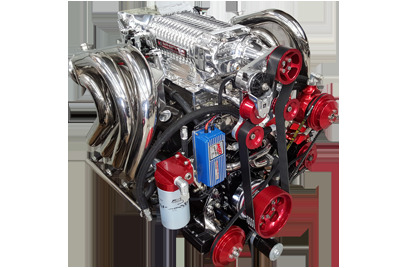 The TCM 1400 EFI is finished with fully color matched billet aluminum accessories and custom plumbing, combined with custom supercharger and valve cover powder paint options for a truly custom engine installation. CRANKSHAFT: Bryant Racing Billet 4330M, 4.375"